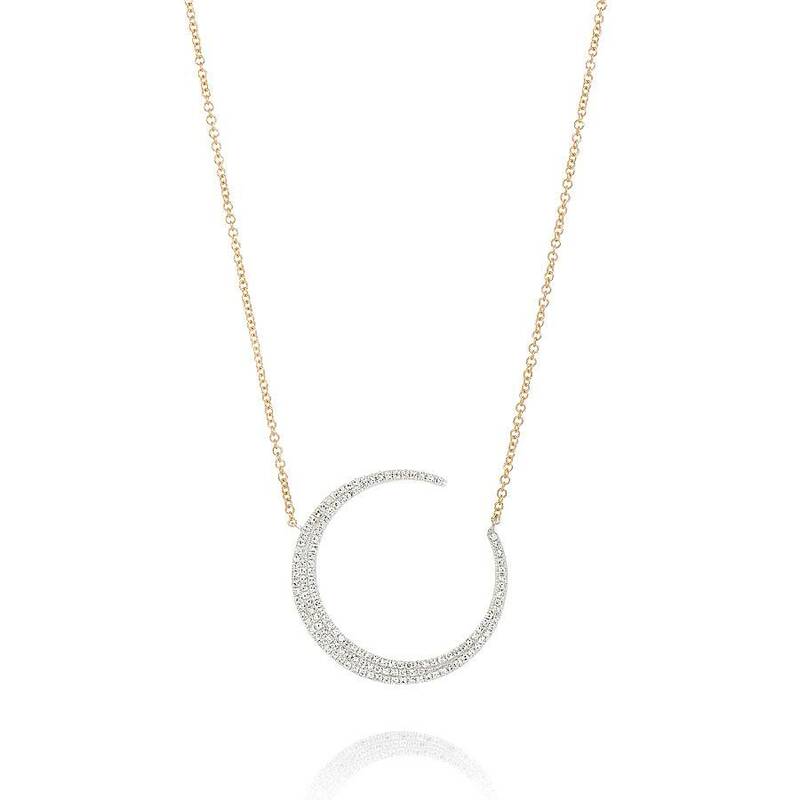 The crescent diamond moon necklace is a new addition to our diamond pendant selection. It is crafted in 14k yellow and white gold and set with round brilliant cut diamonds. It is suspended on a 14k yellow gold, rolo link necklace. This necklace also has an adjustable jump ring to shorten the length of the pendant.